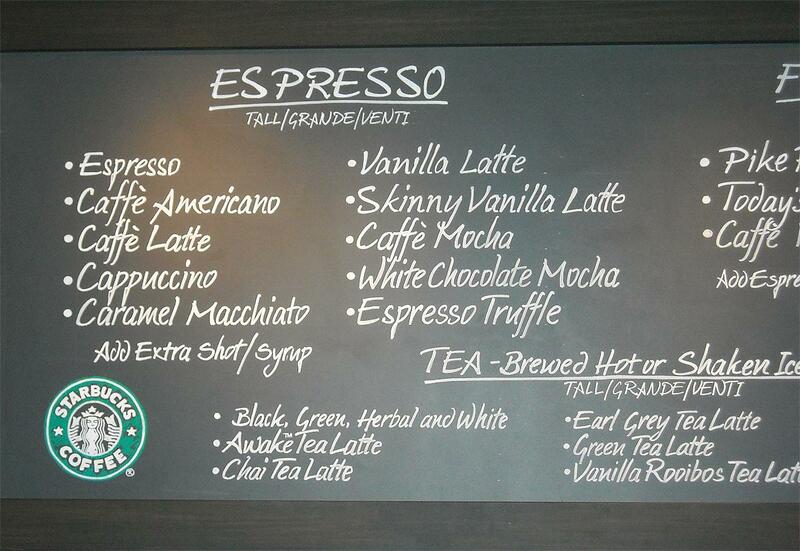 A list of the espresso beverages from Starbucks. Espresso beverages refers to coffee drinks such as Lattes, cappuccinos, macchiatos, mochas and much more, all which are based on espresso. A couple shots of espresso with chocolate added into it and a whipped cream on top. A caffè latte is simply a shot or two of espresso with steamed milk over it. Some prefer to add syrup or extra espresso to the recipe. Some maintain that it is entirely as it is.